Flowing through Central and Eastern Europe, the Danube is the second longest river in Europe. It spans for 1,777 miles from Germany to Ukraine. On a Danube cruise, you’ll typically travel between Germany and Hungary, although some river cruises sail all the way to the Black Sea. The Danube is connected to the Main River via the Main-Danube Canal. Some itineraries include Nuremberg, which is located on the Main-Danube Canal and the Pegnitz River. The most common itinerary for a cruise on the Danube is between Passau, Germany and Budapest, Hungary. Prague is often listed as a starting or ending point of a cruise; however, Prague is not located on the Danube River. It’s about 140 miles north of Passau and about 190 northeast of Nuremberg. Danube River cruises are often combined with other waterways, such as the Main-Danube Canal, the Main River, the Rhine River and sometimes the Moselle and the Dutch and Belgian Waterways. Unless otherwise specified, most Danube cruises are “Western” Danube voyages that sail from Budapest to Germany or reverse. Eastern Danube voyages, from Bucharest to Budapest, are also quite popular, and are marketed under the “Eastern Danube” moniker. 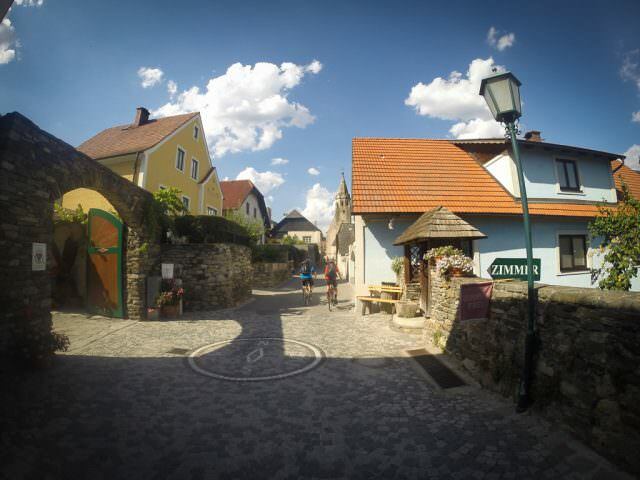 The Wauchau Valley is located in Austria between Melk and Krems. It’s one of the most beautiful stretches of the river. A few cities in Austria that are often featured are Linz, Melk, Durstein, Vienna and sometimes Salzburg, as an excursion. If you travel to Bucharest, you will cruise through the Iron Gates, which is a river gorge that forms a border between Serbia and Romania. Also see How Do Danube River Cruises Prices Compare? and Rhine, Main & Danube River Stateroom Size Comparisons. 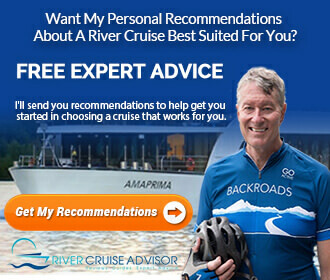 This information is intended to give you an overview and a general idea of what different river cruise companies offer. With regard to itineraries – they change from year to year and sometimes within a year. The number of itineraries listed for some of the companies does not include reverse itineraries. For example, a reverse river cruise from Passau to Budapest would be Budapest to Passau. 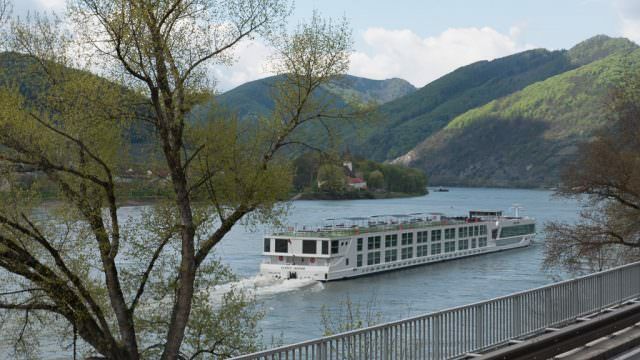 Most of the ships that are listed also cruise on other waterways that are connected to the Danube. You might notice a ship you’re familiar with that cruises on the Rhine River, too. Most cruises begin or end in the German city of Vilshofen, which is located on the Danube River about 65 miles southeast of Regensburg. If your trip begins in Prague, you will be transported to Vilshofen to board your ship. If your trip ends in Prague, you will be transferred from Vilshofen to Prague. For itineraries that include Istanbul, your Danube River cruise will end in Rousse, Bulgaria. You will take a motor coach to Plovdiv, Bulgaria where you will begin you will fly to Istanbul for a three-day journey. There are also cruise packages that include the Main-Danube Canal and are between Nuremberg and Budapest. Interesting to Note: AmaWaterways is the only river cruise company that begins and ends cruises in Vilshofen. Avalon Waterways features cruises between Budapest and Vienna, Bucharest and Passau and from Vienna to Passau only on the Danube River. For itineraries that include the Main-Danube Canal, there are cruises between Nuremberg and Vienna, Budapest and Bucharest. You’ll notice the cities of Prague and Munich listed in several of the itineraries. If your Danube River cruise begins or ends in Passau, transportation by motor coach will be to or from Munich or Prague. And if your cruise begins or ends in the city of Nuremberg, you will be transferred to or from Prague by motor coach. CroiseEurope has cruises to and from Budapest to Passau, Budapest to Belgrade and Zagreb, Budapest to Tulcea, Vienna to Budapest and Linz to Budapest. For cruises that travel to Constanta, Romania, the river cruise ends in Tulcea where you will be transferred to Constanta by motor coach. Interesting to Note: CroisiEurope is the only company that departs from Linz, Austria and the only company that cruises from the Tisza River in Hungary to the Danube River near Novi Sad, Serbia. Emerald Waterways has one itinerary on only the Danube River. It’s from Budapest to Bucharest. The other cruises include the Main-Danube Canal and are between Nuremberg and Vienna, Budapest and Nuremberg to Bucharest. If Prague is listed in the itinerary, you will transported between Nuremberg and Prague by motor coach. Emerald Waterways does not list specific ships for each itinerary. These are the ships that sail on the Main, Danube, Rhine and Moselle Rivers – Emerald Dawn, Emerald Sky, Emerald Star & Emerald Sun. Interesting to Note: Emerald Waterways has one one itinerary for just the Danube River. The other itineraries extend to or from the Main-Danube Canal in Nuremberg. UK-based Riviera River Cruises offers a wide variety of competitively-priced river cruises on the Danube, including seasonal Christmas Markets departures, itineraries designed for solo travelers, and an 11-day cruisetour that offers a land-based extension in Budapest. 9 Ships on the Danube: Jane Austen, Emily Bronte, Robert Burns, Charles Dickens, George Eliot, Thomas Hardy, William Shakespeare, Oscar Wilde, William Wordsworth. Interesting to Note: Riviera is one of the few river cruise companies to offer Danube voyages shorter than one week in duration. Scenic has packages that travel between Budapest and Bucharest and Vienna and Bucharest. For trips that include the Main-Danube Canal, cruise travel is between Nuremberg and Budapest. If Prague is a featured city, you will be transported by motor coach between Nuremberg and Prague. Tauck offers cruises on the Danube River betweenVienna and Passau, Budapest and Passau and Budapest tand Bucharest. There is also a Christmas itinerary between Nuremberg on the Main-Danube Canal and Vienna. For packages that include Prague, you will be transported between Passau and Prague. And if Transylvania or Targoviste in Romania are part of your itinerary, you will be transported to or from Bucharest. Interesting to Note: Tauck is the only company that features Targoviste or Translyvania in the itinerary. Uniworld offers cruises between Budapest and Passau and Budapest and Bucharest. The company also has itineraries that extend to the Main-Danube Canal and are between Nuremberg and Vienna and Nuremberg and Budapest. 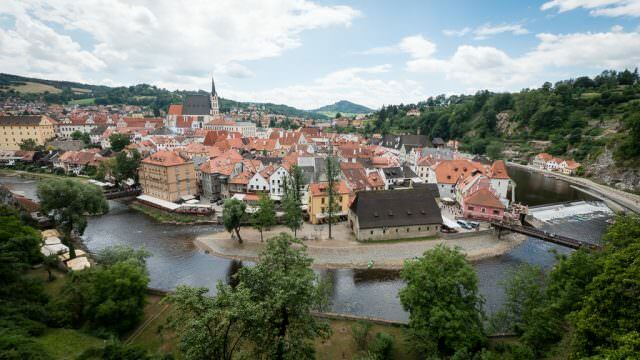 If Prague is listed in the itinerary, transportation will be by motor coach between Nuremberg and Prague. Viking River Cruises offers cruises on the Danube between Budapest and Passau and Budapest and Bucharest. The company also has an itinerary from Nuremberg on the Main-Danube Canal to Budapest. There are add-on options available. Otherwise, what you see in the itinerary is where your river cruise will begin and end. Interesting to Note: Viking River Cruises has fewer Danube River cruise itineraries than most suppliers; however, the company has the highest number of vessels that cruise on the Danube. Read more Danube River Cruises. Any cruises that include all three of the following: Vienna, Budapest, and Bucharest? Thank you. Not that I know of. Budapest and Bucharest, yes, but not with Vienna to my knowledge. Vienna to Budapest, yes, also. i am wanting budapest to bratislava anything going? Typically not. It’s too short of a distance for a river cruise. 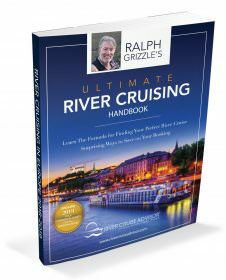 Our knowledge base is river cruising. You’ll need to look elsewhere for ferries. I would imagine there are some local lines that travel this route. Folks that live in the area enjoy day trips along the Danube. Shouldn’t be too hard to find some. I am looking for a one way cruise. Either Vienna to Budapest of the reverse. Any ideas? Are you looking for a ferry, fast boat or river cruise? Not many river cruisers, if any, do that itinerary, but all do between Budapest and points further along the rivers. Hello! I would like to correct you . Vidin and Belogradchik rocks are in Bulgaria !! !.